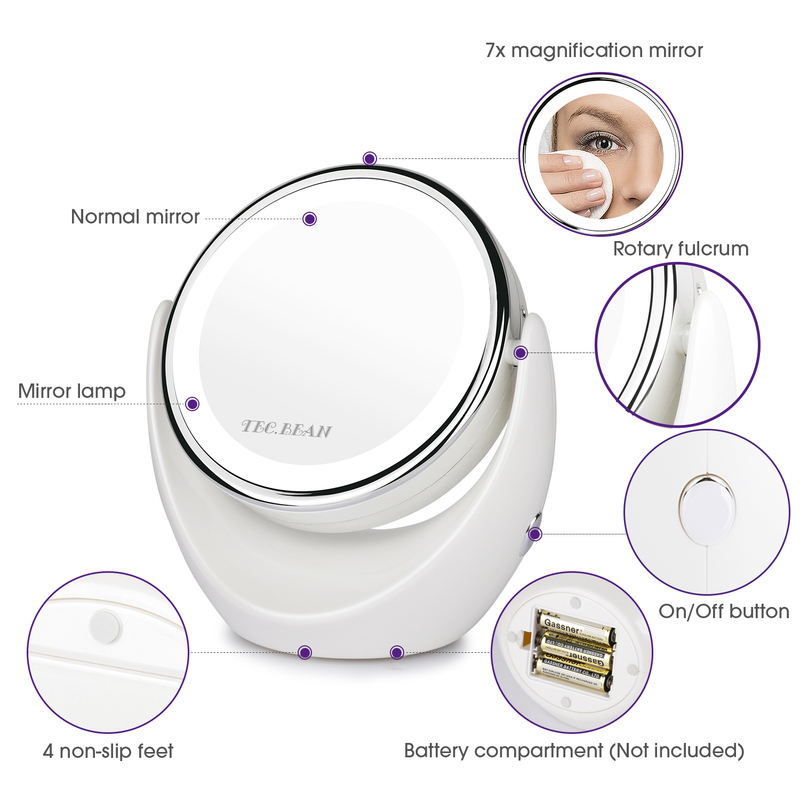 7X HD Magnification and Double Sided Mirror: One side 1X mirror with crystal clear reflection, the other 7x HD magnification which help enlarge the skin pores to see every detail, especially for those who don’t see so well. Magnification is a good option. Great for tweezing eyebrows, shaving, flossing, applying makeup, also helps you clean your face more thoroughly. Fog Free: No need to constantly treat your mirrors with fog free spray, wash them with soap or all the other extra work competing brands require. Merely splash once with hot water during each shower. 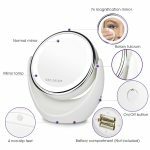 Warm Natural and Bright LED Light: Equipped with bright LED lamps, which provides with warm and natural light for you when makeup, shaving or flossing. The LED lamps are ENERGY-SAVING, extending the usage life of the batteries up to about 200 hours. 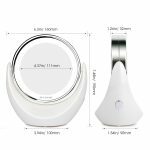 One-Key Switch to ON/OFF with Portable Size: It is convenient and quick to use the One-Key switch, LED mirror is a nice size to sit on your tabletop or bathroom vanity. 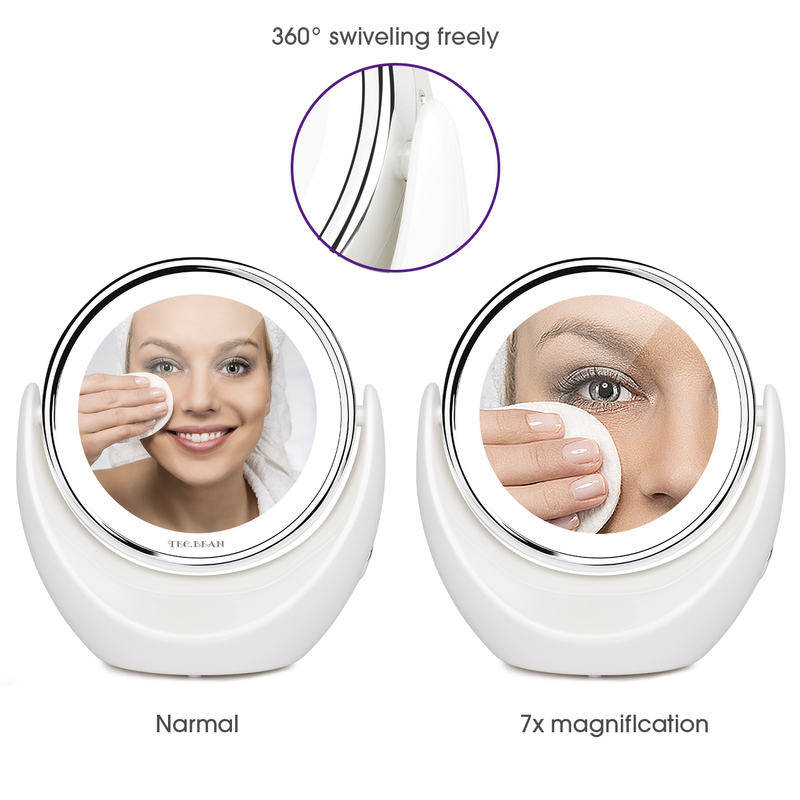 360° Rotation with Rubber Feet: Magnifying cosmetic mirror rotates 360° adjustable angles for putting the mirror closer to you. The silver plated mirror face ensure there is no distortion when you use the mirror.The clarity is comparable to 10 million pixels. It sits on a base with four rubber feet to keep it in place and free of slipping around. Making your make-up more convenient and Create a new opportunity for you to look more beautiful and elegant. Under the wrong lighting,makeup colors can fool you. 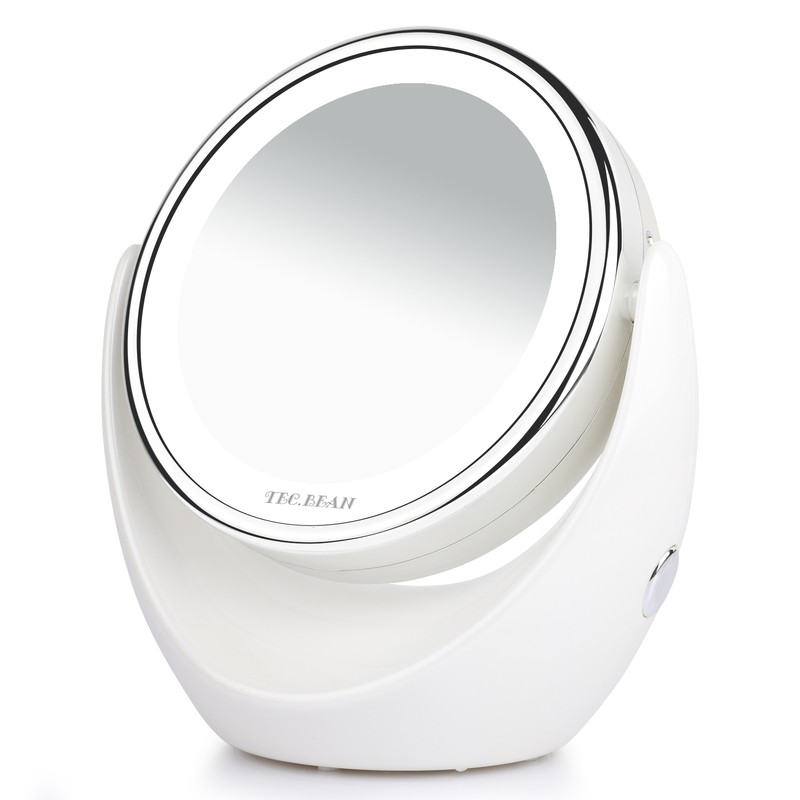 Our TEC.BEAN professional LED vanity mirror is the best choice for you to give yourself a better experience for make-up or basic cleaning of your skin. 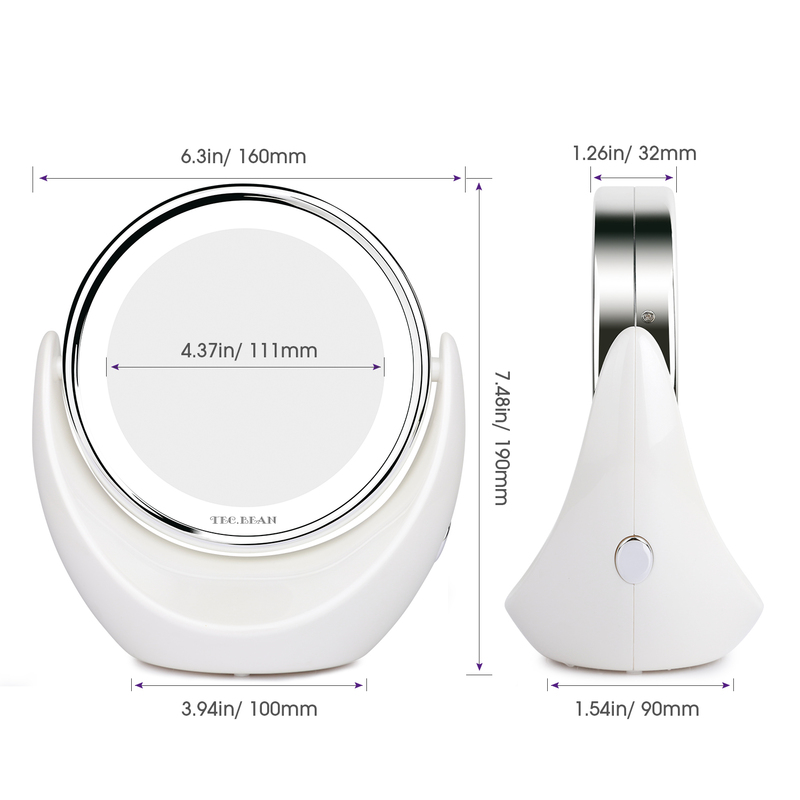 Useful Multi-Functions of the 7X Magnification Mirror help you do a lot of work and make your daily life more convenient. Are you tired with shaving or flossing since you cannot see clearly your whiskers, your beard and your teeth? Are you annoyed that you often don’t makes your eyeliner straight and smooth, or you often tweezing eyebrows in a wrong way? Now, Put your worry aside. TEC.BEAN flexible 7x HD magnification vanity mirror will help you enjoy flawlessly super slim clean lines. 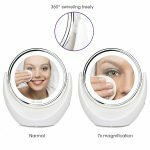 It is great for tweezing eyebrows, shaving , flossing , applying makeup, nose and ear hair trimming and more. A Perfect Gift for Moms, Dads, Girlfriends, Wives, Sisters, Grandmas, Bridesmaids, Skin Care Addicts, Makeup Gurus & More! There is maybe someone who don’t like money, but there is no one who don’t like to be beautiful or handsome! Everyone will be happy if he or she receive a mirror for present! You’re protected by 365+365 days, no-questions asked money back guarantee and world class personal customer service! So CLICK THE YELLOW ‘ADD TO CART’ BUTTON ABOVE TO MAKE YOUR LIFE EASIER AND GIVE YOURSELF A GOOD EXPERIENCE!